Fungi are recognized to have dealings with plants by several known mechanisms, one of which is through the production of phytohormones, auxins. Indole-3-acetate (IAA), indole-3-butyrate (IBA), and indole-3-pyruvate (IPyA), i.e., indolic auxins, are most widely yield by the strains of fungi through which they interact with plants. Fungal strains produce these indolic auxins by tryptophan (Trp)-dependent and tryptophan-independent pathways. Under present study, we found Aspergillus flavus strain PGFW, Aspergillus niger strain BFW, and Aspergillus caespitosus strain DGFW as the utmost effective IAA-producing strains from the rhizosphere of well-growing wheat plant which was determined by spectrophotometric method that uses Salkowski reagent. This method though has a flaw that it is not specific to IAA but develops color by reacting with all the other indolic derivatives. We found that for the spectrophotometric method, the absorption maxima (λmax) of the mixture containing indolic compounds tend to shift when compared to pure standard. To overcome this limitation, high-performance thin-layer chromatography (HPTLC)-based etiquette is technologically advanced for the first time to precisely detect and calculate the amount of IAA and IBA in the assortment of 100 to 1000 ng per spot ignoring other Trp derivatives. HPTLC analysis showed that all the three strains under current study could produce indolic auxins by Trp-dependent and Trp-independent pathways, but the amount of indolic auxins produced was enhanced in presence of Trp. 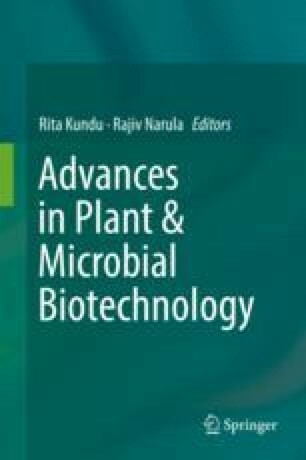 These strains may act as phytoaugmentor or phytopathogen, but for their mode of action, they produce various indolic auxins which can be profiled by the novel method described in this paper. Authors are thankful to the Gujarat State Biotechnology Mission (GSBTM) for providing the funding under FAP 2016 GSBTM/MD/PROJECTS/SSA/5041/2016-17 project and St. Xaveir’s College (Autonomous), Ahmedabad-380009 for providing necessary facilities.